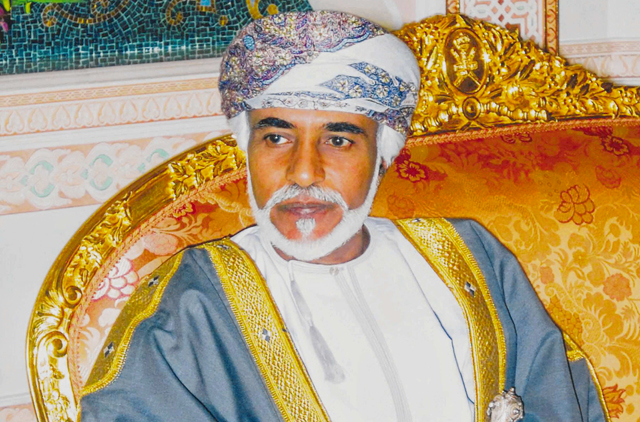 Muscat: Sultan Qaboos Bin Saeed has issued a Royal Decree Sunday granting legislative and regulatory powers to the Council of Oman, which is made up of elected members from Majlis Asshura and Majlis Adawala members, who are appointed by the country's Sultan. According to Oman News Agency, the Sultan issued the decree, in public interest, after reviewing the statute of the State. The country's leader has also ordered formation of a Committee of Experts to work out a draft amendment to the Statute of the State (Basic Law in Oman). The committee has been asked to submit the draft amendments within one month of the formation of such a committee. The Sultan has also ordered cent per cent increase in welfare payments from next month for all families who fall under the Social Security Act from. He has also ordered 50 per cent increase in payment to retired civil service employees, who are in the lower level of pension.